Colored Hemp Webbing Arriving Soon! 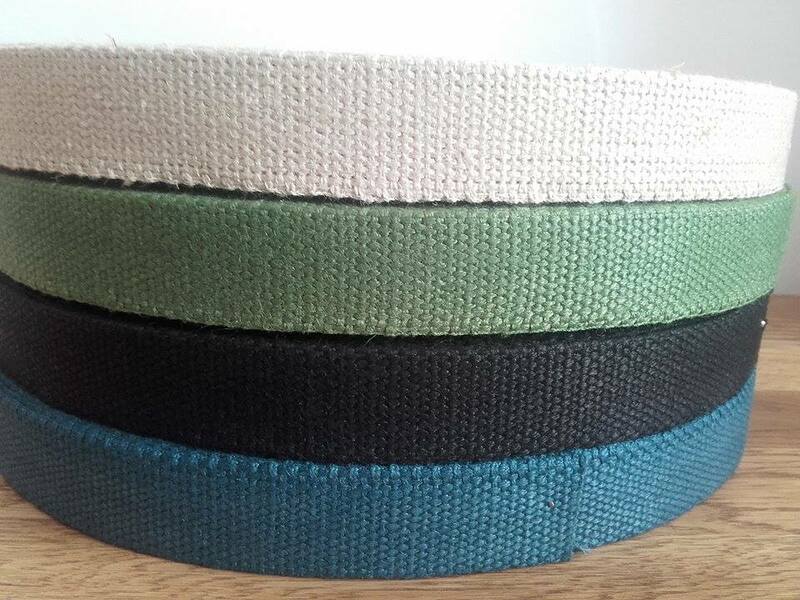 Our Romanian made 100% hemp colored hemp webbing will be arriving very soon. It is going through customs clearance at the moment and should be available later this week or next. For those of you that have already pre-ordered we will be shipping your orders our right away. For those of you that would still like to get this material we will have it soon. Reserve yours today before it sells out to avoid delay. The webbing will be available in 4 different colors: Blue, Green, Black and Natural. The width will be 1" wide and slightly thicker than normal, designed for strength, comfort and long lasting durability. Perfect for hemp collars and leashes for pets.